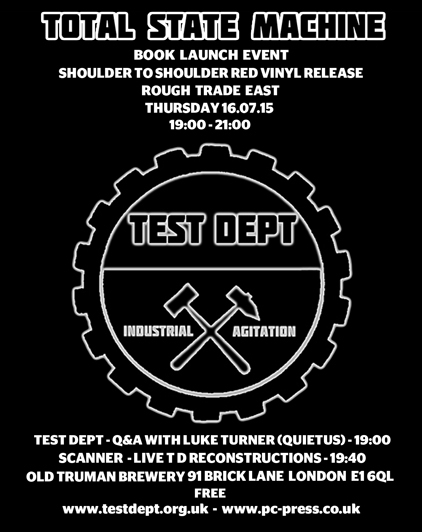 Rough Trade East present Test Dept/PC-Press – ‘Total State Machine’ and ‘Shoulder to Shoulder’ launch on Thursday the 16th July from 7 to 9pm and features a live reworking of Test Dept classic material by Scanner. Test Dept and PC-Press announce the latest in a series of events to launch the book ‘Total State Machine’; a career long presentation and representation of the work of Test Dept featuring reflection and analysis by Paul Jamrozy, Graham Cunnington, Angus Farquhar, Stephen Mallinder (Cabaret Voltaire), Robin Rimbaud (Scanner), Marek Kohn, Malcolm Pointer, Ivan Novak (Laibach), Alan Sutcliffe (Kent Miners) and many more with an introduction by Alexei Monroe and Peter Webb. 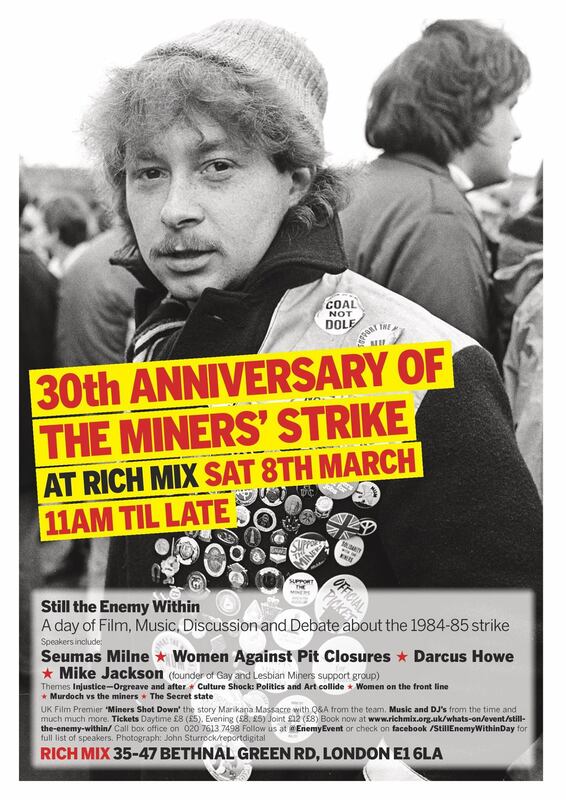 ALSO to let you all know that the Red Vinyl edition of the ‘Shoulder to Shoulder’ album will now not be a part of this event. The release is being held up by a legal issue that will soon be resolved. Onwards and Upwards PC-Press. 7.00pm Q&A with Paul Jamrozy, Gray Cunnington, Robin Rimbaud, Peter Webb and Alexei Monroe. 7.40pm Live performance – Scanner’s unique Live re-working of Test Dept classics. 8.25pm book and record signing/ meet and greet. This entry was posted in News, news-test-dept and tagged PC-Press, Rough Trade, Test Dept, Total State Machine on May 7, 2015 by Peter Webb.